Giovanni Marrasio (d. 1452), a humanist poet from Noto in Sicily, spent the major part of his poetic career in Siena and Ferrara before returning to Palermo in the role of a medical doctor serving the University of Palermo. In Siena, Naples, and Palermo he hovered on the edge of the courts of the Este and of Alfonso “the Magnanimous” of Aragon without ever winning the title of court poet he coveted. 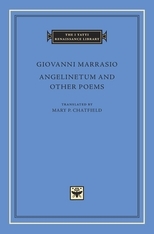 Marrasio was esteemed in the Renaissance as the first to revive the ancient Latin elegy, and his Angelinetum, or “Angelina’s Garden,” as well as his later poems (Carmina Varia) explore that genre in all its variety, from love poetry, to a description of a court masque, to political panegyric, to poetic exchanges with famous humanists of the day such as Leonardo Bruni, Maffeo Vegio, Antonio Panormita, and Enea Silvio Piccolomini. 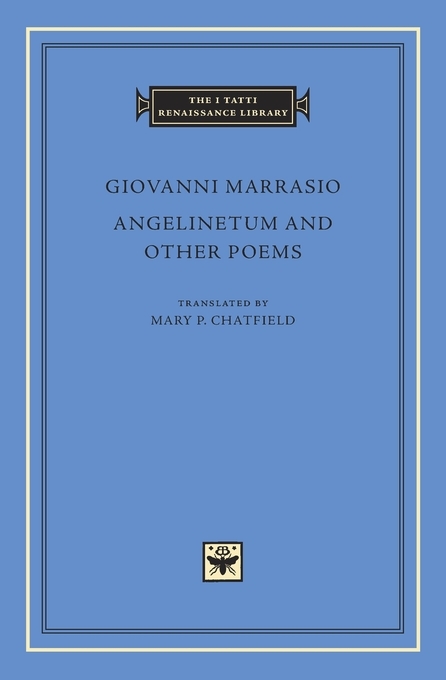 This volume contains the first translation of Marrasio’s works into any modern language.